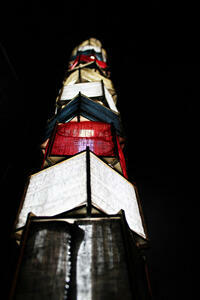 A photograph of an installation that forms part of the '60 Lights Market' at the LUXCITY event. 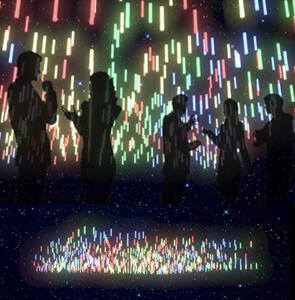 An artist's impression of the installation 'eLITE', created as part of the LUXCITY event. 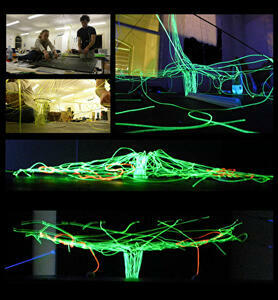 A montage of photographs of the installation 'Tonic', created as part of the LUXCITY event. 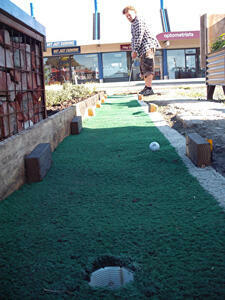 A photograph of a man playing mini-golf on Gap Filler's Gap Golf course. A photograph of the first hole of Gap Filler's Gap Golf course. Written on the wooden framing around the hole is, "Gap golf! 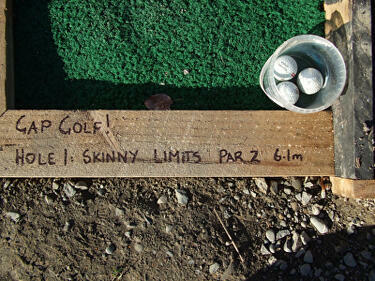 Hole 1: Skinny Limits par 2, 6.1 m". 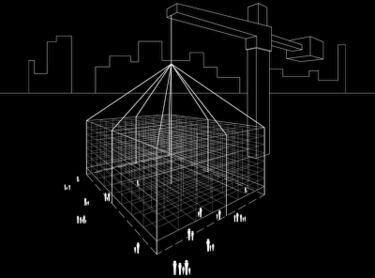 An artist's impression of the LUXCITY event. 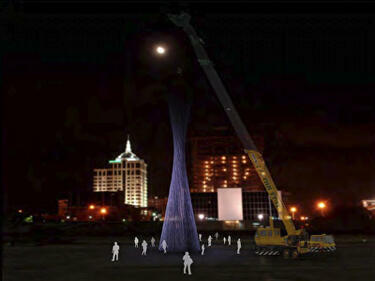 The image depicts installations on Gloucester and Colombo Streets. 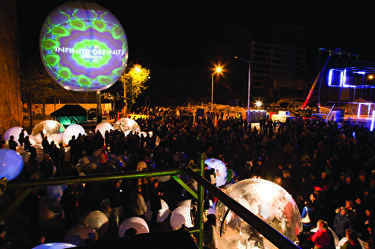 A photograph of crowds at the LUXCITY event. 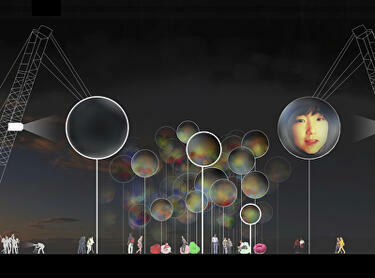 An artist's impression of the installation 'Atmosphere', created as part of the LUXCITY event. 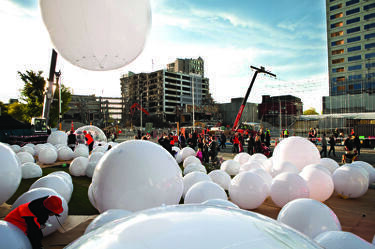 A photograph of crowds at the LUXCITY event. 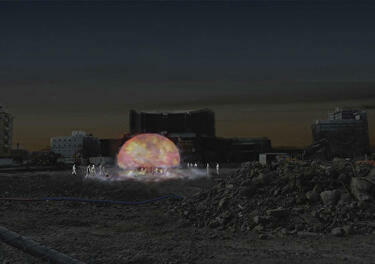 The photograph shows an installation on Worcester Street, with the new Press building in the background. 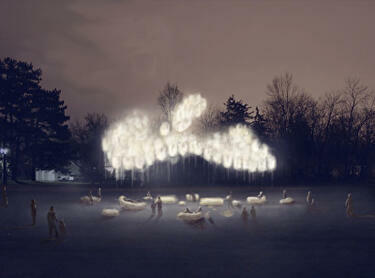 The installation is titled "Murmur". 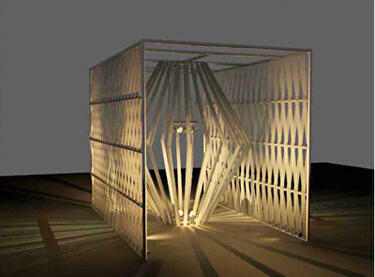 A photograph of an installation on the corner of Manchester Street and Worcester Street. 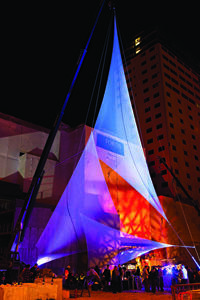 The installation is titled "Archrobatics", and is part of the LUXCITY event. 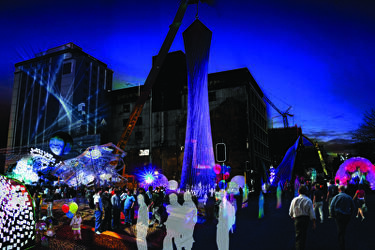 A photograph of installations being constructed on the corner of Gloucester Street and Colombo Street for the LUXCITY event. 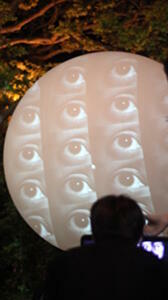 In the foreground is the installation titled "In Your Face", and to the right is the installation titled "Etch-a-Sketch". 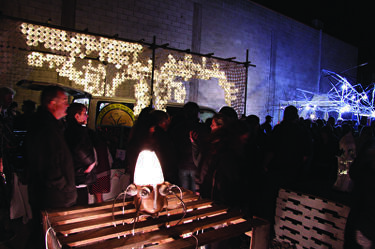 A photograph of crowds at the LUXCITY event. The photograph shows installations on the corner of Gloucester Street and Colombo Street. 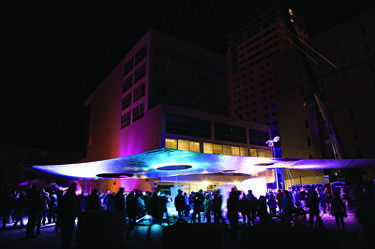 In the foreground is the installation titled "In Your Face", and to the right is the installation titled "Etch-a-Sketch". 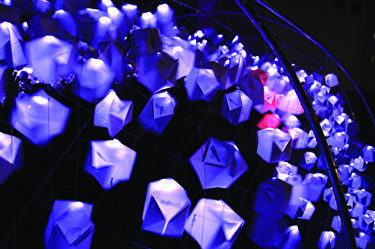 A photograph of an installation titled 'Halo', which is part of the LUXCITY event.